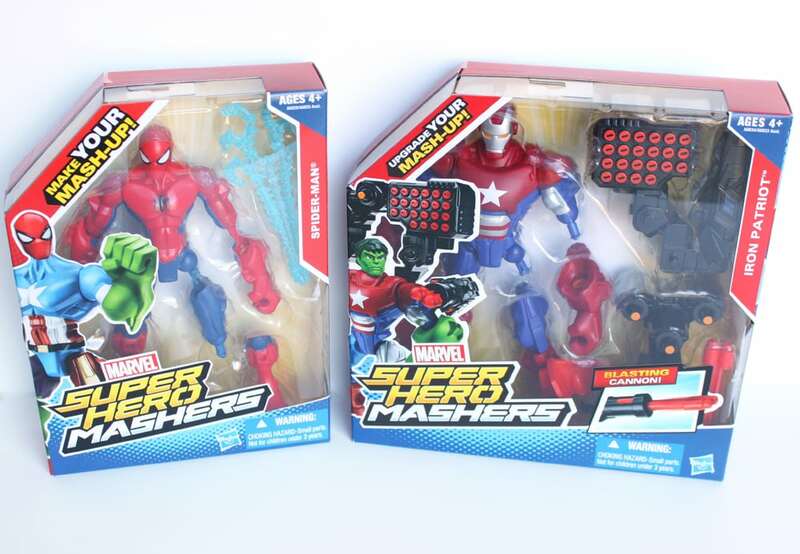 This is a sponsored post written by me for Marvel Superhero Mashers and Mom It Forward. As always, I am giving my own, honest opinion. 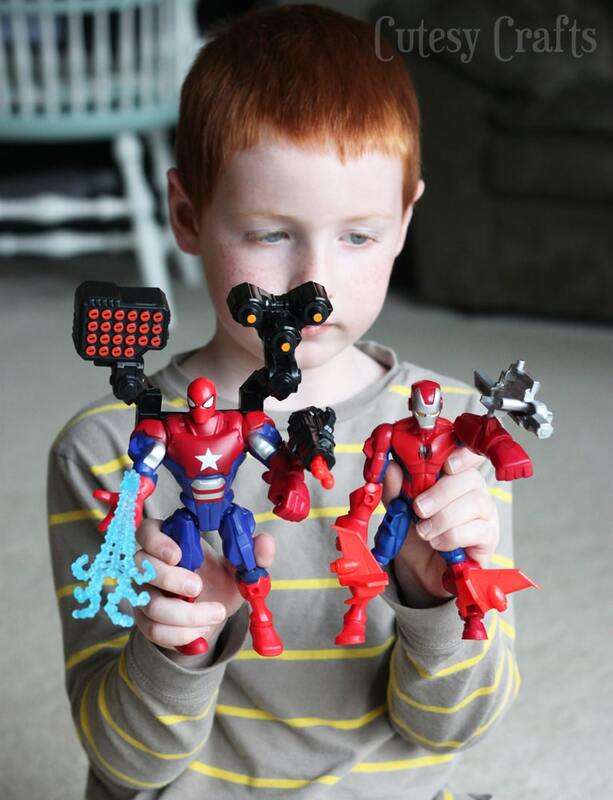 Evan was so excited that he got to try out the new Marvel Super Hero Mashers this week! 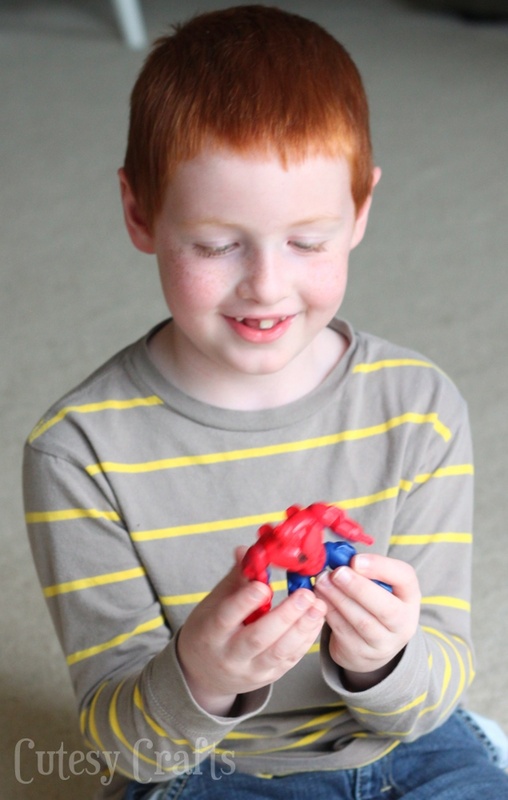 They sent us Spider-Man and Iron Patriot so we could mix them up to make a new super hero! How fun are these?! I love that these are more than just action figures. 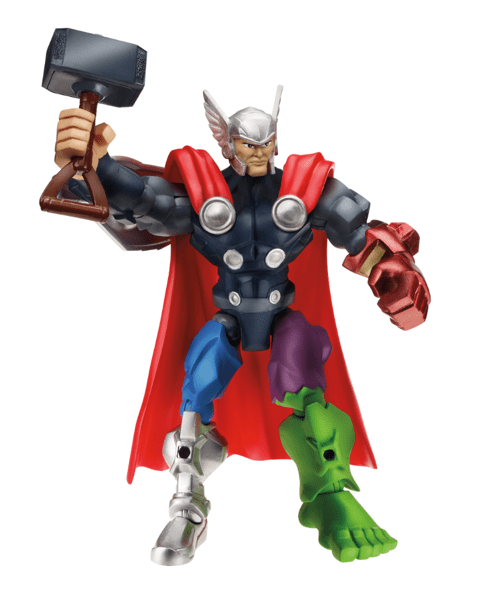 All of the limbs and weapons are interchangeable so Evan can use his imagination to create something new to play with. Immediate smiles when he discovered that you could take their heads off! So what did we end up with? 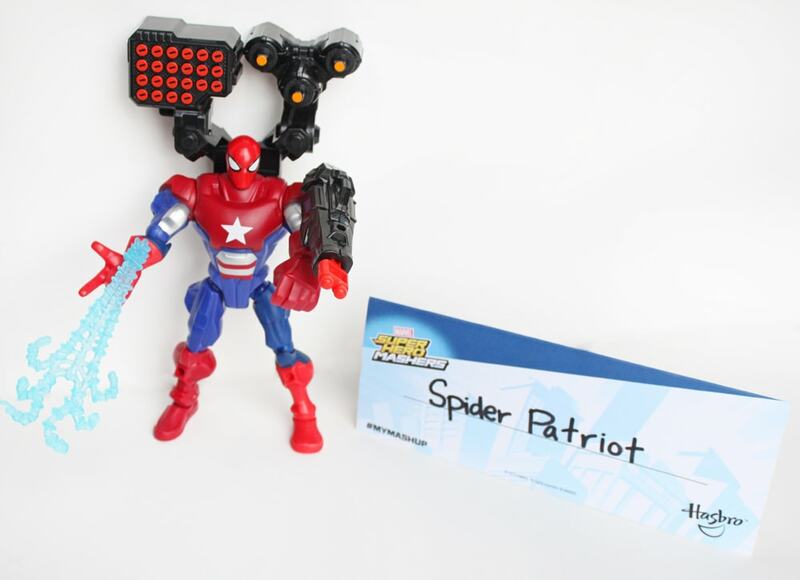 Spider Patriot! 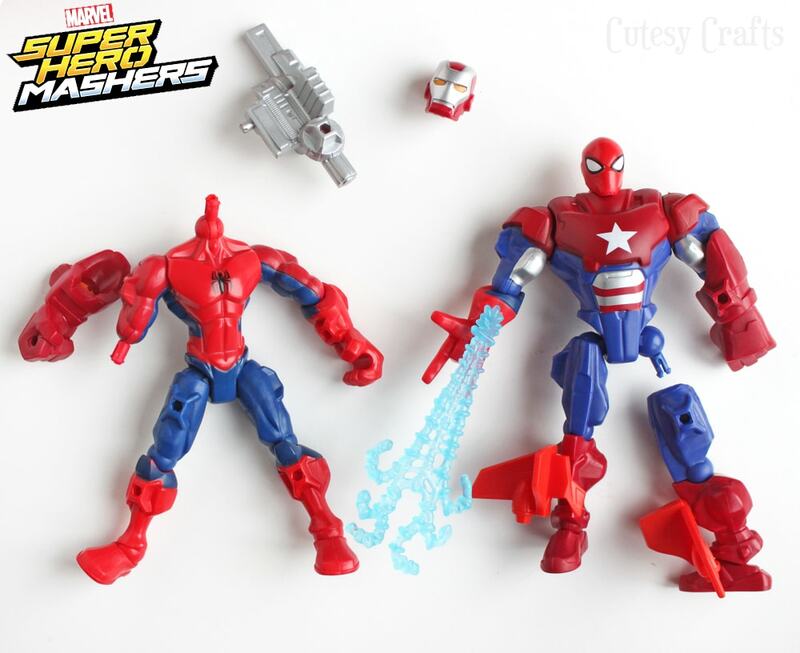 He’s got the strength, armor and artillery of Iron Patriot combined with Spider-Man’s spidey-sense and web-slinging abilities. Awesome! Watch out! 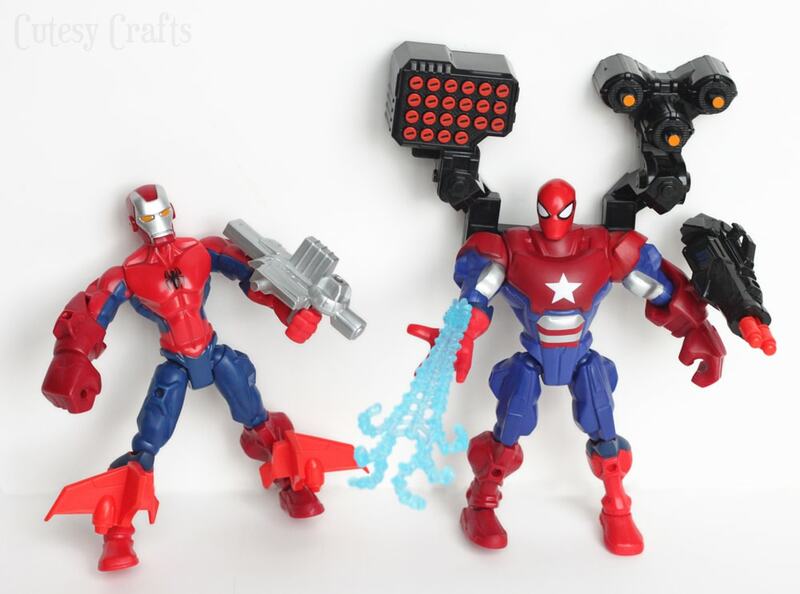 Spider Patriot and his sidekick Iron Spider are on the job! 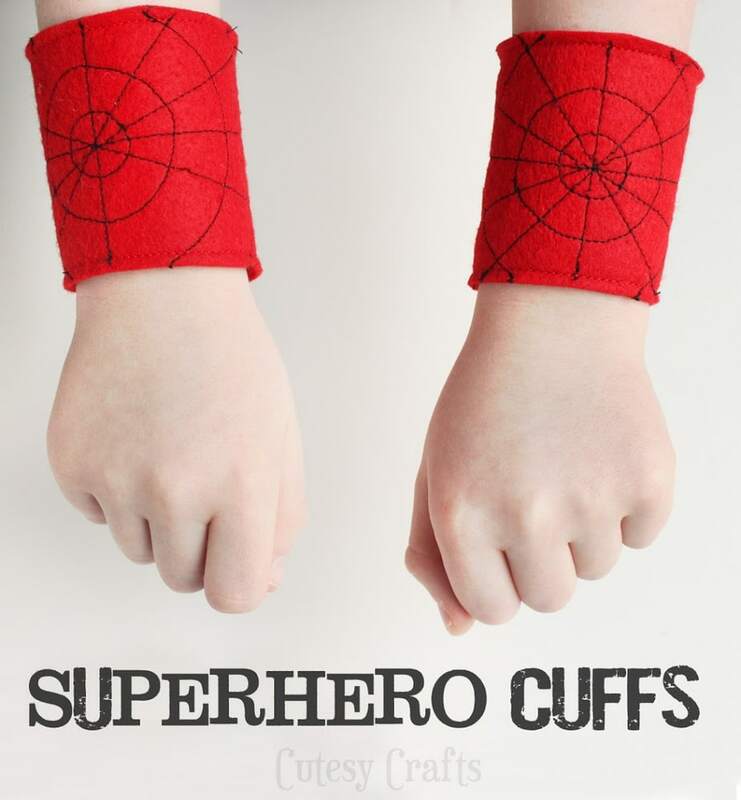 I was inspired during all of this super hero play to create some felt super hero cuffs for Evan. Super simple (no pun intended), just some felt, thread, and velcro. We made Spider-Man ones, but you could add anything else that you want to make a different super hero. These ones match the Spider-Man mask that I made a couple years ago. Use the pattern here and cut two pieces for each cuff (4 total). 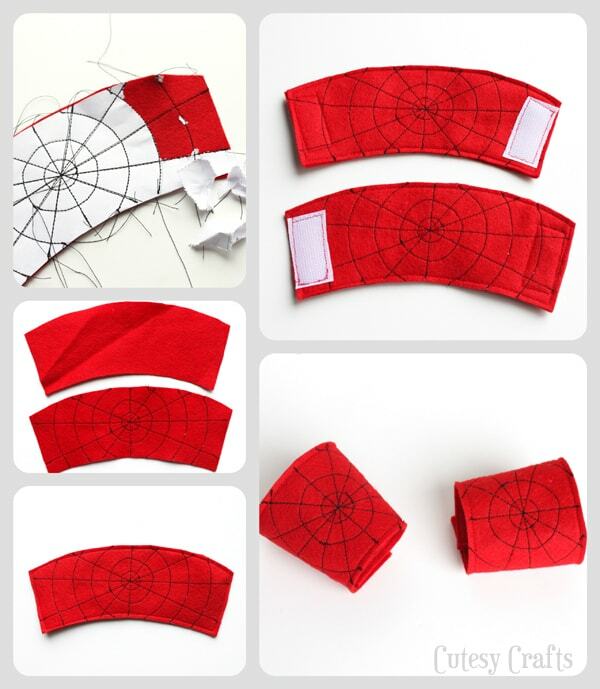 Pin the pattern to the two top of the pieces and sew the webbing details through the paper. Tear off the paper and trim the threads. Sew the tops to the bottoms, add velcro, and you are done! 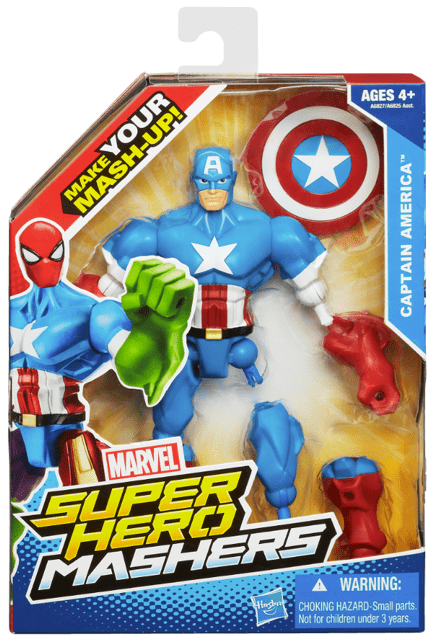 Now we just need to get some more Super Hero Mashers so we can make things like this! Can you tell who each part belongs to? So fun! Captain America would be fun too. So many possibilities! Genious idea! I’m going to try to use your pattern to make my daughter Wonder Woman cuffs! And now I’m looking at your princess crowns… 🙂 Thanks for being awesome! Well, thanks so much for thinking I’m awesome! 🙂 Glad you like them!